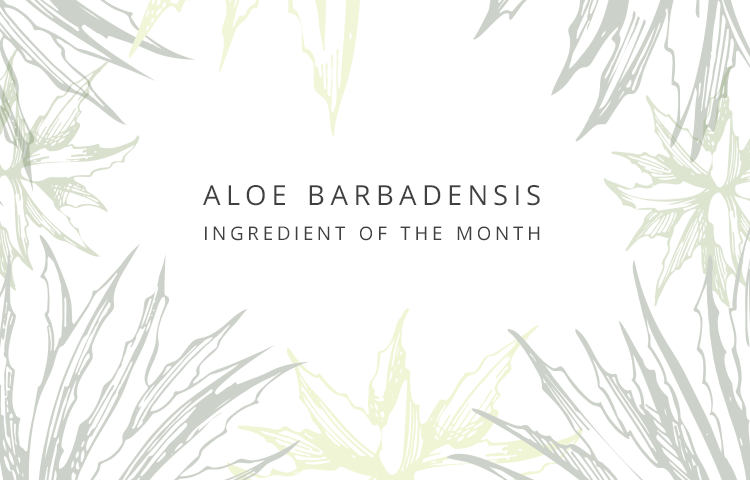 Aloe Barbadensis is a wonderful ingredient that you will find in many of our products. It is used widely around the globe in everything from skin creams to ointments to beverages and cosmetics. Why is it used so widely? Because it has many beneficial properties and contains a numerous amount of vitamins and nutrients. Aloe Barbadensis is a plant species that originates from the Arabian Peninsula but grows in many wild, tropical climates around the world. The Aloe plant has been cultivated and used for medicinal purposes for thousands of years and over 200 nutritional substances have been discovered in its leaves. It has been nicknamed “the plant of immortality”. 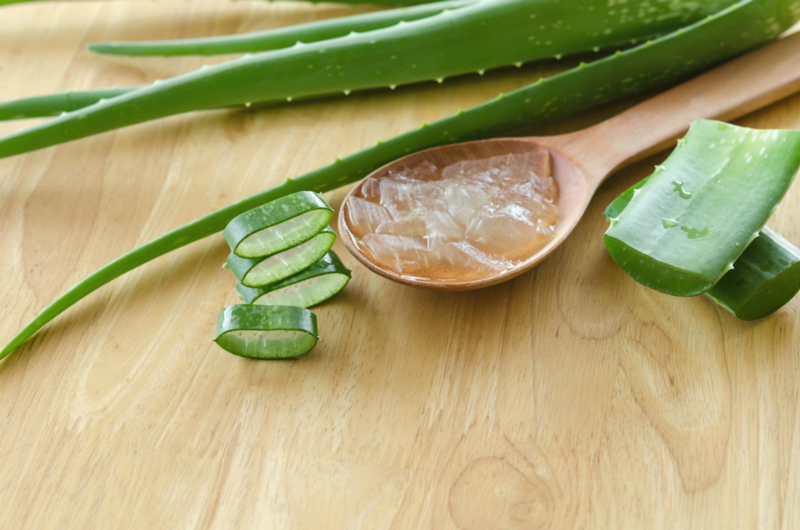 When Aloe leaves are broken off from the rest of the plant, they secrete a clear gel that can be applied topically to soothe irritated skin and wounds. This super plant is full of vitamins including A, B1, B2, B3, B5, B6, B12, C, E Choline and Folic Acid. It also contains Protein, Calcium, Magnesium and Zinc, Amino Acids, Enzymes and Germanium; which is an impressive amount of vitamins and nutrients for one plant! It has been shown that our skin can absorb these nutrients up to 7 layers deep. Both women and men can benefit from using Aloe as a moisturizer. If you have oily skin, it won’t leave your skin feeling greasy after use and if you have dry skin, Aloe will prevent it from drying out when it is used as a base under mineral-based make-up. No more dry patches! If you are a man however, Aloe is a fantastic moisturizer to use after shaving as it will soothe and protect your skin and treat any small razor cuts. We all start aging at some point and look around for the latest wonder product to help prevent those fine lines and wrinkles from forming but we don’t have to look very far because there is a natural remedy right under our nose. The leaves of the Aloe plant contain many antioxidants like beta carotene, vitamin C and E which help keep the skin hydrated and improve its texture and firmness thus preventing signs of aging. Auxin and Gibberellins the two hormones found in Aloe gel, aid in healing wounds and provide anti-inflammatory properties that reduce redness. Aloe is also soothing and can therefore alleviate blistering and itching. It is fantastic when used on problematic skin conditions like acne, eczema and psoriasis so if you suffer from one or more of these skin complaints, you should try it out. Do you forget how powerful the sun can be? then remember to get some Aloe this Summer. Touted “the burn plant”, the nutritional qualities and antioxidants in Aloe help your skin heal quicker while the anti-bacterial and anti-inflammatory juices inside the leaves soothe and protect it. Aloe Barbadensis really is an amazing ingredient used in many different ways, that’s why we use it in so many of our products. Why not check them out now and reap the amazing benefits for yourself!